No coupon needed on Etsy! Great selection of patriotic fabrics! 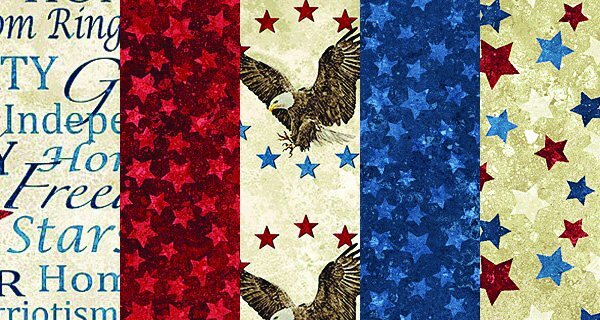 "Land of the Free" by Northcott are perfect for Quilts of Valor and other patriotic themed items. Lots of 108 inch wide fabrics are available both in store and online. Oops! sorry for the incorrect header. 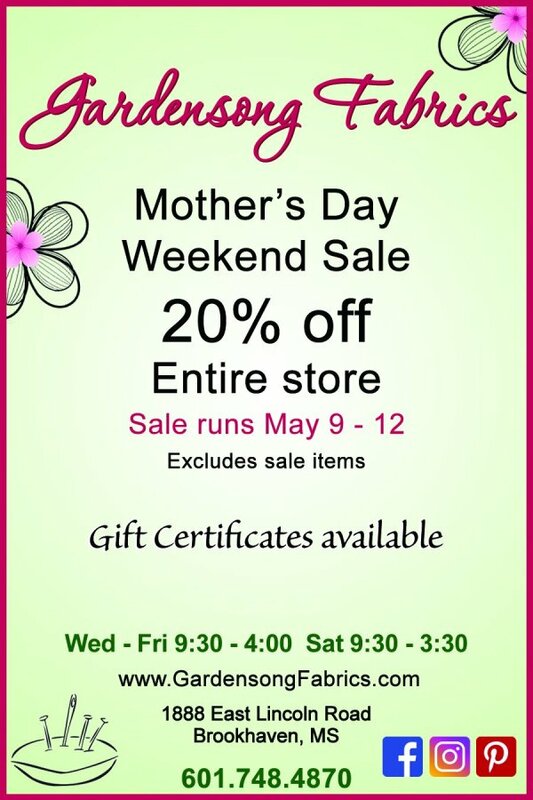 There really is a 20% off sale the entire website and shop for Mother's Day weekend. Sometimes the "send draft" and "SEND" buttons get swapped late at night!